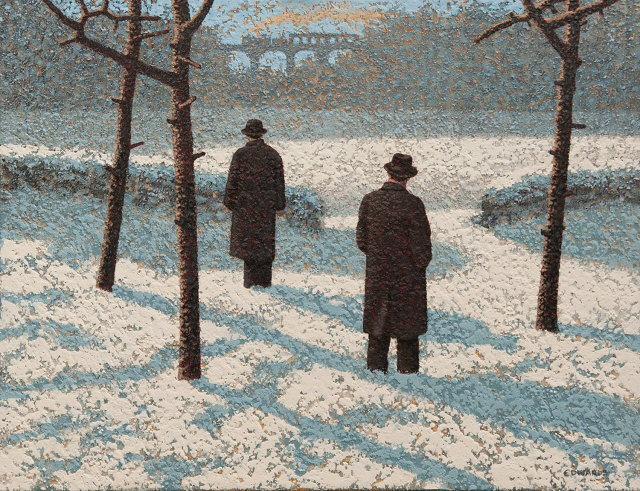 Alluring and psychological, MARK EDWARDS’s paintings stay with you, or maybe they have always been there buried like deja vu. His subject is often similar – men in hats and jackets, snow and often a train or a red balloon. He deservedly has a large following despite his remote location in the far north of Scotland.